Mobile Health - Frazer, Ltd.
Frazer’s Mobile Clinic goes beyond stuffed emergency rooms and busy hospital hallways to deliver a universally configurable space for healthcare. 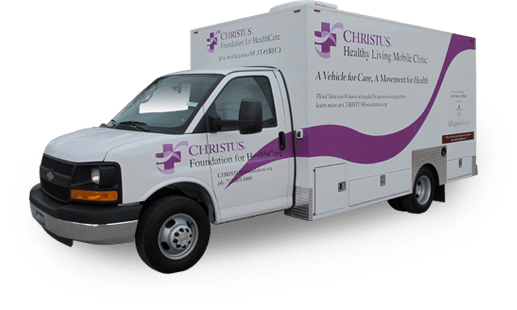 This unit extends the reach of healthcare providers to schools, streets, parking lots, businesses, nursing homes, and all types of communities. Wherever care is needed, the Mobile Clinic is there. Our Mobile Clinic offers customizable features and applications that fit your needs. Services possible with our Mobile Clinic include: immunization, health evaluation, blood draw, shots, and more. We build the Mobile Clinic on a platform open to massive configurability. It can function as a mobile clinic, a broadcast command vehicle, a disaster relief unit, or even a food truck. Bottom line: it gives you the power to do more. As with our other vehicles, the Mobile Clinic is equipped with an independent generator. So you can power your devices without hassle. And we can build it on a chassis of your choosing, ranging from front-end to cabovers.